A gene patent is a patent on a specific isolated gene sequence, a natural sequence that has been altered, the processes and methods for obtaining or using it, or a combination of any of these. In the United States, gene patents have only been granted to gene sequences that have known functions. In 1980, the first patent for a living organism was filed, but was rejected by a patent examiner for the United States Patent and Trademark Office (USPTO). The patent was filed for a newly created bacterium that Ananda Chakrabarty, a microbiologist, had created for digesting crude oil in oil spills. Chakrabarty appealed, arguing that although the USPTO does not allow patents on living organisms, if it is “man-made”, such as through genetic engineering, then such an organism is patentable. In a 5-4 ruling by the U.S. Supreme Court in the Diamond v. Chakrabarty trial, Chakrabarty was awarded a patent for the microorganism he created. Current patent law prohibits the patenting of laws of nature or natural phenomena. Although genes are certainly natural phenomena, some believe the act of isolating and studying them makes them patentable under the Chakrabarty ruling. Others disagree and don’t believe gene sequences should be patentable. Although lower courts have heard cases involving gene patents (see below), the Supreme Court has yet to weigh in. A recent high profile case that received extensive media coverage involved Myriad Genetics Inc., a biotechnology company, and their patents on two genes linked to ovarian and breast cancer, BRCA1 and BRCA2. In August 2012, Myriad won in U.S. federal appeals court when the court ruled in favor of upholding Myriad’s patents. However, the company was denied their patent on methods “analyzing” and “comparing” DNA sequences. Myriad has a gene test, BRACAnalysis, which assesses BRCA alleles for their associated breast and ovarian cancer risk. Women who test positive have an 82 percent and 44 percent greater risk for breast and ovarian cancer, respectively, during their lifetime. The approximately 20 nonprofit groups, medical organizations, doctors and individuals who challenged Myriad’s patents on the BRCA1 and BRCA2 genes fear that the appeals court’s decision will have adverse affects on basic research and slow patient test results in the medical field. Supporters of gene patents claim that gene patents help encourage research and invention. In November 2012, the Supreme Court agreed to hear arguments about the BRCA patents, and a decision is expected in 2013. Gene patents have been a hot topic of debate in recent years given the growth of the industry. Patents are currently held on 20 percent of the human genome by corporations and scientists, a number that continues to grow. As the number of patents grow, so does the number of those that challenge and support gene patenting. * How much modification must occur during the extraction process to make an otherwise natural product patent eligible? * Does isolated DNA have a new function/use that is different from DNA inside the body? * Will there be incentive for companies to invest in new discovery if they are not assured patent protection? * Is cDNA materially different from genomic DNA? * Is deciding where to “snip” DNA to isolate a gene considered an invention? On June 13, 2013, the Supreme Court unanimously ruled that genes are not eligible for patenting. The majority opinion was written by Justice Clarence Thomas. “Myriad did not create anything,” wrote Thomas. “To be sure, it found an important and useful gene, but separating that gene from its surrounding genetic material is not an act of invention.” However, the ruling also allows for the patenting of cDNA, a synthetic form of DNA that is created in the laboratory by making a DNA copy of an mRNA molecule that was previously isolated. Cohn, Meredith. “Gene Patent Case Could Impact Patients, Research.” The Baltimore Sun. The Baltimore Sun, 22 Sept. 2012. Web. 29 Oct. 2012. <http://articles.baltimoresun.com/2012-09-22/health/bs-hs-brca-patents-20120922_1_myriad-genetics-patents-brca>. Goh, Rachel. “Gene Patents: 2010 Update.” Gene Patenting. N.p., 24 Feb. 2011. Web. 28 Oct. 2012. <http://genepatents.info/>. Liptak, Adam. ” Justices, 9-0, Bar Patenting Human Genes. The New York Times. 13 June, 2013. <http://www.nytimes.com/2013/06/14/us/supreme-court-rules-human-genes-may-not-be-patented.html>. Maxmen, Amy. “The Great Gene-Patent Debate.” Nature. Nature Publishing Group, 20 July 2012. Web. 28 Oct. 2012. <http://www.nature.com/news/the-great-gene-patent-debate-1.11044>. Stempel, Jonathan. “Myriad Wins Gene Patent Ruling From US Appeals Court.” Reuters. Thomas Reuters, 16 Aug. 2012. Web. 29 Oct. 2012. 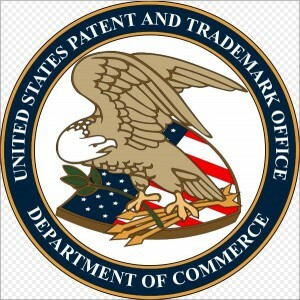 <http://www.reuters.com/article/2012/08/16/us-myriad-patent-idUSBRE87F12K20120816>.